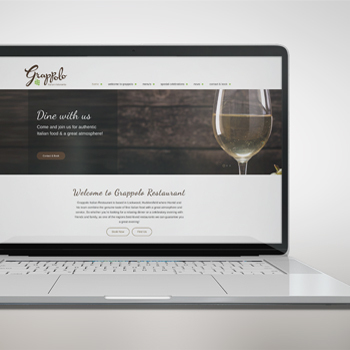 An extremely busy and popular local restaurant, the team at Grappolo required someone to come on board to oversee and manage their marketing requirements. 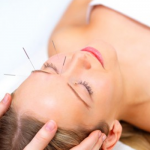 Alleviating some of the workload so that the management could focus on the day to day running of the restaurant. At 1017 we oversee and manage the day to day running of Grappolo’s social media accounts, deliver seasonal promotions, handle their advertising and menu updates and we have recently introduced in-house promotions and messages on a TV for customers to view while in the bar area. 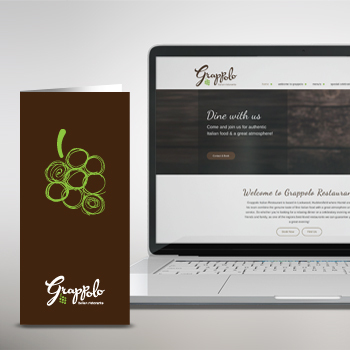 We have also been responsible for creating a new Grappolo brand and website. This replaces the rather tired previous identity and more closely reflects what the restaurant has to offer. 1017 have delivered more consistent and recognisable marketing activity, introduced new channels to market and communicate regularly with customers, introduced a new refreshing brand and identity, which reflects what the restaurant has to offer and liaises with all parties to ensure marketing activity is delivered successfully, allowing the management team to focus on other areas of the business.